As you will all know, I love my lists and most of these exist in my lovely Bullet Journal. I have lists for everything, including a list of my lists (yes, seriously). And believe me, there are more. 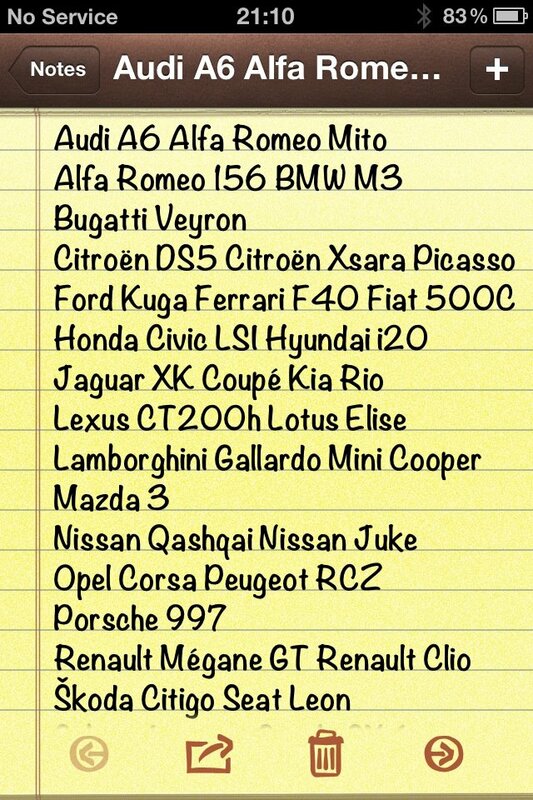 These are the ones I use regularly! However, this week, we realised how much impact this has had on my son. My eldest son has autism. He likes short simple instructions. He really is a follower of the KISS (Keep It Simple, Stupid) method. As we are always working on life skills and helping him with his independence, we often ask him to set the table for dinner. Normally, it’s fairly straight forward as we tend to serve up before the food hits the table. However, we were having fajitas and this is a bit more of your free for all help yourself type meal so he started to get confused as to how many plates, serving dishes, spoons, etc. We continued until he had two lists – one for the actual dining table and one for the counter to serve food into. He then came back into the room and ticked off his list. “Task completed, Debs” he said with a look of satisfaction. What a moment. Of course, it was the right thing to do. The pride I felt at that time was immense. The despair on my husband’s face when he realised he had another lister to now contend with was possibly more so. It made me realise that the visual time tables we use with him are actually just another form of list. We had, however, never considered just writing a normal every day list for him, although he has been known to write lists of the cars he would like when he learns to drive (I may need to start a “savings list”). We are now using this to help him select his own school uniform each morning. We have even chatted with his school and we are incorporating this new skill into his food technology class. He has a goal for the year to prepare a simple snack independently so we are now looking at stretching that to planning and preparing a simple snack. When I shared our experience with other Bullet Journal Junkies, the response was amazing. This is by far the most fun group on Facebook. So many people, so very little judgement and so much support and inspiration. Over 1000 people liked the update and over 100 people commented. A few other parents commented in addition to many people who have Autism. The feedback was that having one place to write down everything you need to do made life easier. Having detailed lists helped enormously. So instead of just “dinner”, having “set the table” including details of how many plates, spoons, etc was greatly beneficial. Being able to use just one notebook so there was no worry of writing a note in the “wrong place” was also something people commented about. Having just one book took a lot of pressure off. I can relate to this, I have tried so many different methods and always end up with the wrong notebook next to me or unsure quite which notebook it should go in. Productivity goes out of the window as you spend time trying to figure this out. Having a key for different activities (to do, birthday, read, telephone, etc) was also something that seemed to really help. I know it helps me. I like having a sign for phone calls as that means I can block time out and move away from my laptop to make the calls in comfort. Over the next few months, in very small simple steps, I am going to be introducing the whole concept of the Bullet Journal to my son and will keep you all posted. 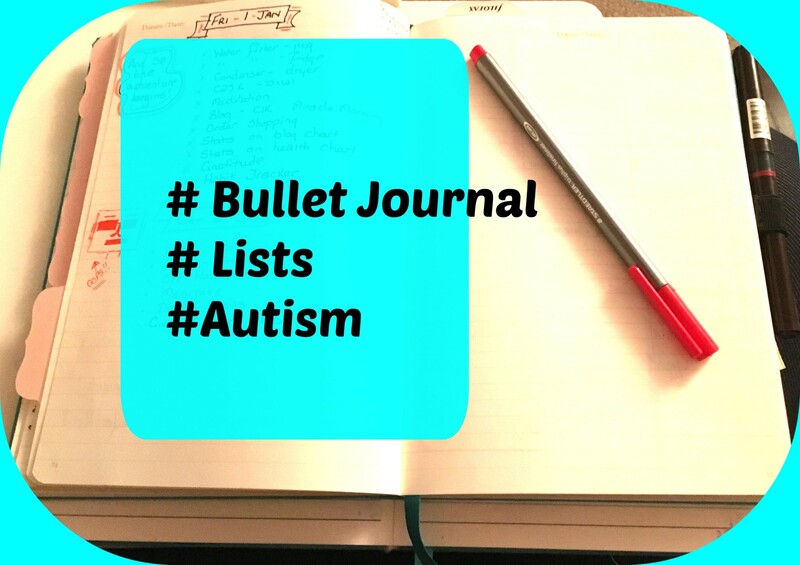 I would love to hear more from families with children with any disability or special needs to hear how you use the Bullet Journal or Lists to help. If you have no idea what I mean by the Bullet Journal, go and have a look (grab a notebook first because you will want to try it). My daughter has my own stationery addiction so she writes her lists; in a gorgeous journal with a fabulous fountain pen. However, my other son is blind, so we are now looking at whether he can use an app to dictate his lists and then have them read back to him. 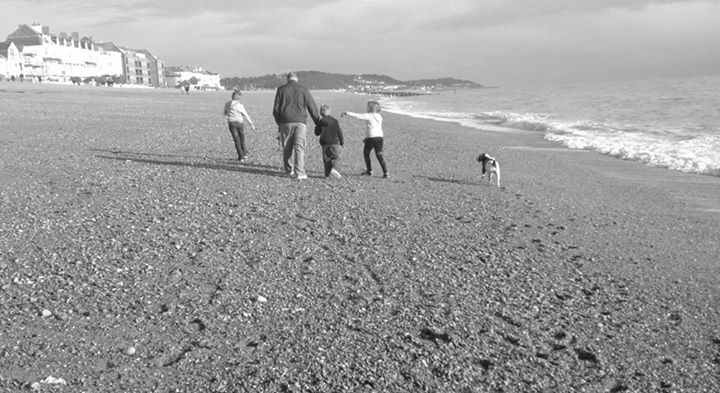 If you know of anything – we’re an Apple family – then please let us know. Sign up for more updates on our attempts to find calm amongst the chaos. I can’t love this post enough!! !